GoodBed's simple explanation of the full range of PranaSleep latex mattresses, including the Karma, Lotus, Generation 5, Organics and Om collections. PranaSleep is deep restorative sleep that is achieved with a delicate measure of softness supported by a firm yet supple core. At PranaSleep, our mattresses are designed to provide the best support with the greatest pressure relief, thereby positioning the spine in the proper alignment while promoting circulation to every cell in your body. The buoyant support provided by PranaSleep permits the free flow of nutrients to the capillaries and subcutaneous nerve endings, allowing you to awake refreshed, ready for the new day, and able to meet life’s challenges. Based on 358 real owner experiences with this brand. How do people like you rate their PranaSleep mattress? Mattresses are personal. Filter the 358 PranaSleep ratings by sleep position, weight, age, gender and more to find the ones that are most relevant for you. The PranaSleep Lotus line has 89 ratings and 7 reviews on GoodBed. The PranaSleep Om line has 100 ratings and 3 reviews on GoodBed. The PranaSleep 5th Generation line has 18 ratings and 0 reviews on GoodBed. 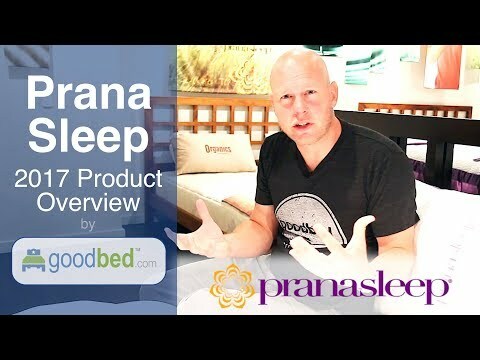 The PranaSleep Karma line has 11 ratings and 0 reviews on GoodBed. PranaSleep mattresses have 358 ratings and 14 reviews on GoodBed. The PranaSleep Karma Sky collection has 1 rating and 0 reviews on GoodBed. PranaSleep mattresses are recommended by 65% of owners on GoodBed (based on 358 ratings + 14 reviews). Want more reviews from PranaSleep mattress owners? Do you have something to say about your PranaSleep mattress? Write a Review! PranaSleep is a mattress manufacturer founded in 2004 that is based in Bonita Springs, FL in the United States. PranaSleep mattresses are available at City Mattress as well as Jordan's Furniture. Additional product details can be found by viewing discontinued mattress models from PranaSleep. Have an update or correction to our information about PranaSleep? If so, please take a moment to suggest an edit.